I love shiny buttons and bells and whistles and new tech. I am a marketers dream because I am easily swayed by the ads they create and I always want the next new thing. Enter the Facebook Portal. At first glance, I thought, “Oh wow look at it, it’s so fancy.” And then, because in my old age I’ve gained some wisdom and self control, I thought, “Wait, why do I need it? What does it do other than video call people and who would I call anyway? I don’t even like to regular call people, let alone video call them”. And then of course, I thought about Facebook having a video camera and listening device in my home. That was enough to stop me from making the purchase on my own. But, as it turns out, I work for this super cool company, that’s always ahead of the curve and willing to invest in new tech so we can see if it’s something our clients can take advantage of in some way. Knowing my love of shiny objects, my boss offered me the chance to take home two Portals and test them out. I leaped at the opportunity, to hell with Facebook listening in on my home and my lack of desire to video call, I was all in! I decided to give the other Portal to my sister and her family since she has 2 and 4 year old daughters. My daughters are 12 and 10 and our kids love each other, so I thought they might enjoy chatting with each other over video. Turns out I was right! We set up my sister’s Portal on a Friday night and between then and Saturday my adorable nieces called us (on their own) no less than 20 times. This is the number one best feature about the Portal in my opinion, it’s so easy to use, a 2 year old can do it. 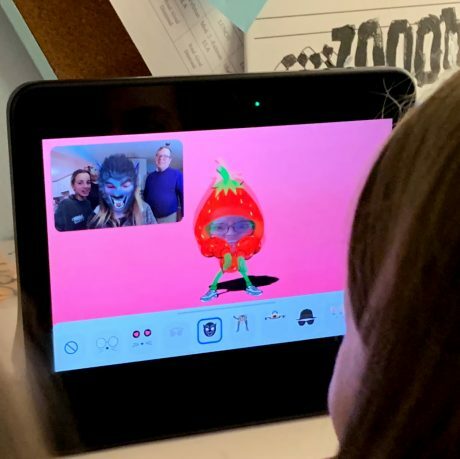 Next up on the favorite features list is the Augmented Reality that lets us put on werewolf masks, put cats on our heads and pretend cry, among other fun filters. It also has four interactive stories: 3 Little Pigs, Bubble Trouble, Itsy Bitsy and 5 Little Monkeys. My kids and I have each read all four of those stories no less than five times. In fact, we’ve read them so often, that my 4 year old niece now “reads” the stories back to me. The video and sound quality Portal to Portal is incredible, while the wide-angle camera tracks your movements so you can move freely throughout the room as you’re talking. One night, I even cooked dinner while my niece “read” to me. The Portal also works with Messenger on a phone or tablet, so we set my mom up, who lives in Florida, and my nieces were able to call her too. My mother fell so deeply in love with the Facebook Portal that she called me to inform me that she’d like one for Christmas. The main reason she wants a Portal instead of using her phone or tablet is because video and call quality betwixt a Portal and a non-Portal is not nearly as great. Outside of calling through messenger, the Portal has some other bells and whistles. It has Alexa built in, it can connect to Spotify and Pandora, has very limited version of YouTube and some curated Food Network videos. The speaker is decent, but not great and this past weekend when I wanted to play Spotify music, I opted to use a stand alone speaker instead of the Portal. Oh and if you, like me, might be concerned with letting Facebook have a video camera in your home, the device does come with a little clip to cover the camera when not in use. My kids watched every single Food Network video, then asked for more, and they weren’t impressed with the YouTube functionality. When not in use, the Portal can make a slideshow out of your selected Facebook photos and display the weather, which are both are “nice” features. Overall, I am not sad that my time with the Portal has come to an end. It was fun to use with my nieces, but the general amount of times I or my kids or my sister or her kids would use it to contact each other dwindled as the novelty wore off. Also, my kids are at an age where they can’t be bothered to come out of the caves they call their rooms, let alone spend QT talking with family. And again, I loathe the phone, so video calling isn’t really my thing. I have an Echo Dot and my home isn’t large enough to warrant another Alexa. This is a great device for people who would like more video calling in their life. In fact, during one call with my sister, her brother-in-law was visiting and he said he’d love to have one for all of his work video conference calls (you can have more than two people on the calls). 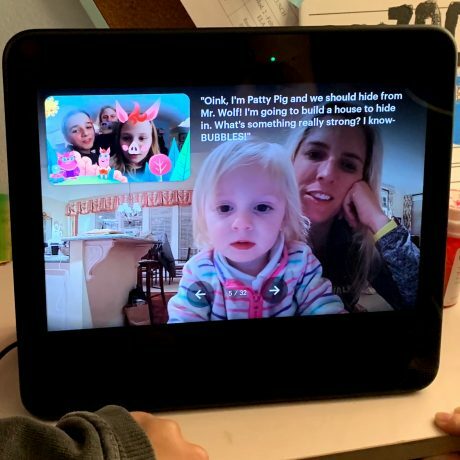 If you have small kids, live far away from friends or family with whom you’d like to interact more often, or would like better video conference calls, this is a great solution. Again, the call quality, Portal to Portal, was impeccable. In the ads, they say it feels like you’re in the room with the person, and they’re right, it’s that good. So, what’s our final verdict? The Facebook Portal can be filed away as an entertaining new toy with some practical communication benefits. However, when we tried to find a solid use case for our builder friends, we came up empty handed. 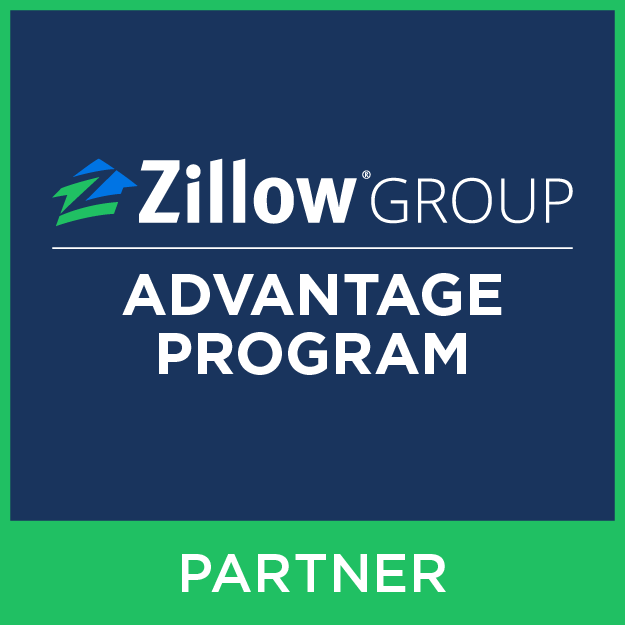 Besides using the device as a giveaway or incentive, (could be attractive to prospects in the active adult market or communities with a heavy military relocation demographic), there wasn’t much else we could brainstorm. We’d love to tell you the Facebook Portal is the hottest new tool to add to your sales and marketing arsenal, but it’s not, so we’ll keep testing new technology and let you know when we find the silver bullet. For more than a decade, Molly has been helping brands and businesses use their digital presence to positively impact their bottom line. Taking a deep dive into analytics and data to distill meaningful information and create memorable campaigns that generate strong responses is what Molly does best.